The 52-438-766 Fowler 52 Piece Gage Ball Set is on sale at Gaging.com! Ball gages are ground a.. 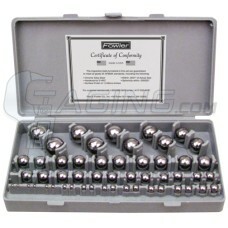 The 52-438-777 Fowler 50 Piece Metric Gage Ball Set is on sale at Gaging.com! Ball gages are g..